A rugged, highly portable instrument for use in the lab & field. 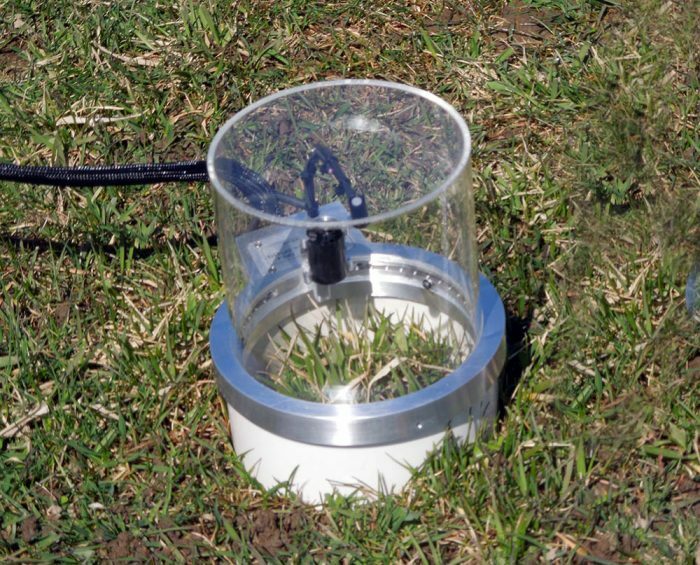 The perfect solution for soil CO2 efflux & net canopy CO2 flux measurements. The EGM-5 is a compact, lightweight instrument (1.5 kg) with a custom, rugged aluminum enclosure making it a very portable and durable product for demanding field measurements. Additionally, the EGM-5 features an integral, rechargeable 7.2V battery providing up to 16 hours of continuous operation in the field. 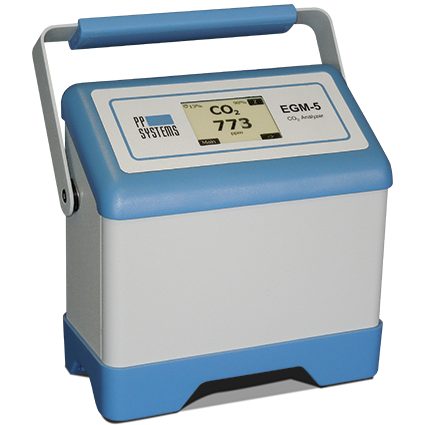 The EGM-5 also features a miniature, long life air sampling pump that can be used for both dynamic and static measurements. Data can be recorded manually or automatically at user selected intervals. The EGM-5 can be supplied with two different optical benches calibrated specifically to the range required. One bench is optimized for measurement ranges of CO2 up to 30000 ppm and another for ranges above 30000 up to 100000 ppm. 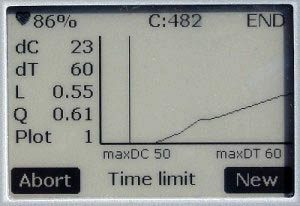 For users that want to recalibrate the gas analyzer to a new level, this can easily be achieved as long as it is within the range for that particular optical bench. The design of the EGM-5 ensures an inherent calibration stability that has been confirmed by over 35 years of experience in gas analysis technology. 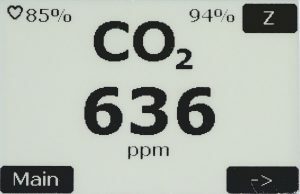 It features a non-dispersive, infrared measurement technique coupled with microprocessor based in signal processing resulting in precise measurement of CO2. Our innovative “Auto-Zero” technology and insulated, thermostatically controlled optical bench ensures fast warm-up, long term stability, accuracy and analyzer calibration. 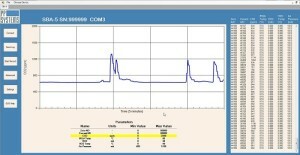 Our GAS (Gas Analysis Software) allows users to monitor and record environmental sensor data from a PC. All electrical and pneumatic connections, power, CO2 scrubber, USB flash drive and terminal block are conveniently located on the rear of the EGM-5 console. 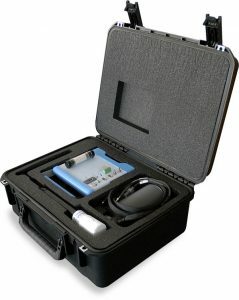 An optional, rugged transport case is available for use with the EGM-5, as well as the SRC-2 Soil Respiration Chamber and HydraProbe II Soil Moisture & Soil Temperature Probe or STP-2 Soil Temperature Probe. PP Systems has long been recognized as a manufacturer of high-level scientific instrumentation for the soil sciences. For more than 30 years their instruments have been widely referenced in numerous, prestigious publications and articles. 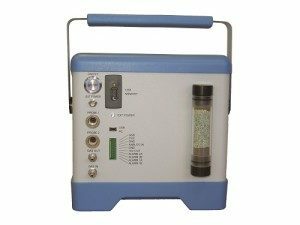 We offer a very affordable soil respiration system based on the NEW EGM-5 Portable CO2 Gas Analyzer and SRC-2 Soil Respiration Chamber. The SRC-2 Soil Respiration Chamber and CPY-5 Canopy Assimilation Chamber can also be used with the CIRAS-3 Portable Photosynthesis System and TARGAS-1 Portable Photosynthesis System for closed system measurement of soil respiration and net canopy CO2 flux. 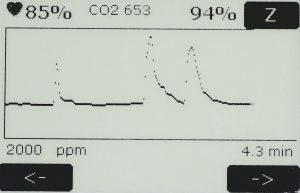 The SRC-2 Soil Respiration Chamber connects directly to the EGM-5 console. It includes a fan for flushing the chamber prior to measurement and for sampling. It also includes an internal sensor for measurement of air temperature near the soil surface. The SRC-2 Soil Respiration Chamber with built-in temperature sensor can be used with the EGM-5 and CIRAS-3 for easy, accurate and rapid closed system measurement of soil CO2 efflux. Optional collars (as shown in picture) are available from PP Systems for use with the SRC-2 chamber. 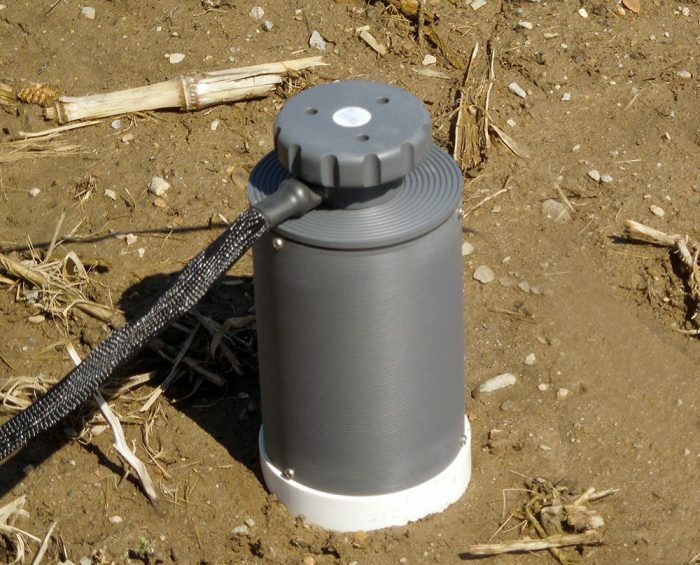 Our rugged STP-2 Soil Temperature Probe can be used to measure soil temperature. It is commonly used with our SRC-2 Soil Respiration Chamber. 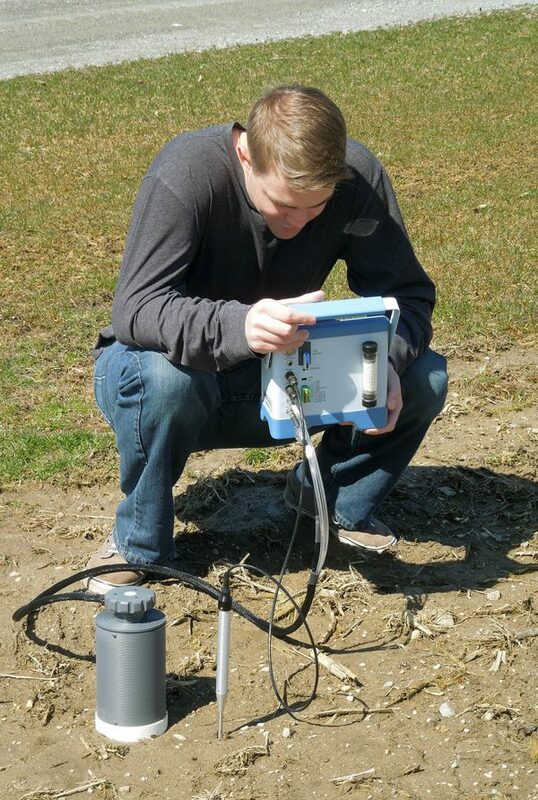 The Hydra Probe II (Stevens Water Monitoring Systems, Inc.) features a “dielectric impedance” measurement principle and it can be used with the EGM-5 for accurate measurement of soil moisture and soil temperature from a single probe. The CPY-5 can be used with the EGM-5 and CIRAS-3 for closed system measurement of net canopy CO2 flux on low lying vegetation. It includes sensors for measurement of air temperature and PAR (Photosynthetically Active Radiation). For a quick enquiry about this particular product, please complete the short form below. 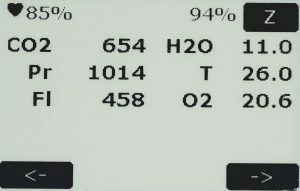 Hansatech Instruments can only provide pricing for this instrumentation within the UK, Northern Ireland and Ireland. If you are located outside these locations, please visit the PP Systems website for local distributor information.